On Saturday 27 April 2019 from 10h00 to 12h00. Le logiciel libre : au-delà du numérique, quels enjeux ? Vous utilisez très certainement plusieurs logiciels gratuits intentionnellement, et tout aussi certainement des logiciels libres sans vous en rendre compte. Mais quelle différence faisons-nous entre un logiciel libre et un logiciel simplement gratuit ? Quels modèles propose le numérique libre, comme Wikipedia, Firefox, VLC, Libre Office, … ? Et au-delà du logiciel libre, pourquoi défendre la neutralité du net, le droit à la vie privée, le droit à la libre expression, la libération du code payé par nos institutions publiques, la priorité au logiciel libre dans l’éducation nationale…? On Wednesday 22 May 2019 from 19h00 to 22h00. Dans le cadre des mercredis 3.0 au CCO de Villeurbanne, nous vous invitons à (re)découvrir le film Nothing To Hide. A l’issue de la projection vous pourrez en discuter avec différents intervenants du Libre. La rendez-vous : Mercredi 22 Mai 2019 à partir de 19h00 (projection pour 19h30) au CCO-La-Rayonne au 24 Rue Alfred de Musset 69100 (nouveau lieu). On Thursday 6 June 2019 from 17h30 to 20h30. On Thursday 4 July 2019 from 17h30 to 20h30. On Thursday 1 August 2019 from 17h30 to 20h30. On Friday 19 April 2019 from 20h30 to 23h59. On Wednesday 10 April 2019 from 19h00 to 20h00. On Thursday 4 April 2019 from 17h30 to 20h30. On Friday 29 March 2019 from 17h00 to 19h00. On Friday 22 March 2019 from 17h00 to 19h00. Corbeil-Essonnes Protéger notre environnement et nos vies privées avec des logiciels libres et gratuits ! On Wednesday 20 March 2019 from 14h00 to 17h30. Grésy sur Aix Libre & Humain à l'ère d'internet ?! On Tuesday 19 March 2019 from 20h00 to 22h00. Thoiry Atelier "Protégez votre vie privée sur internet"
On Saturday 16 March 2019 from 10h30 to 17h30. On Wednesday 13 March 2019 from 19h00 to 20h00. On Wednesday 13 March 2019 from 15h30 to 18h00. On Saturday 9 March 2019 from 14h30 to 16h00. On Friday 8 March 2019 from 19h00 to 21h30. On Thursday 7 March 2019 from 17h30 to 20h30. Toulouse Le risque sur Facebook, Google est énorme ! On Monday 4 March 2019 from 19h30 to 22h00. On Saturday 2 March 2019 from 19h00 to 23h00. On Tuesday 26 February 2019 from 19h15 to 20h45. Figeac Vie privée, un luxe oublié ? On Sunday 24 February 2019 from 10h30 to 12h30. On Friday 15 February 2019 from 18h00 to 20h00. On Tuesday 12 February 2019 from 19h00 to 20h00. On Thursday 7 February 2019 from 17h30 to 20h30. On Thursday 7 February 2019 from 16h00 to 22h00. On Monday 28 January 2019 from 18h50 to 21h00. Annecy Libres et Humains à l'ère d'internet ? On Friday 25 January 2019 from 20h00 to 23h00. On Friday 25 January 2019 from 18h00 to 22h00. On Friday 25 January 2019 from 17h00 to 18h00. On Tuesday 15 January 2019 from 19h00 to 20h00. On Wednesday 9 January 2019 from 15h00 to 17h00. On Thursday 3 January 2019 from 17h30 to 20h30. On Wednesday 19 December 2018 from 19h00 to 22h00. On Wednesday 19 December 2018 from 15h00 to 17h00. On Friday 14 December 2018 from 18h00 to 22h00. On Saturday 8 December 2018 from 14h00 to 16h30. On Friday 7 December 2018 from 20h00 to 23h00. On Thursday 6 December 2018 from 17h30 to 20h30. Paris Soirée "Capitalisme de surveillance"
On Wednesday 5 December 2018 from 19h30 to 22h00. On Tuesday 4 December 2018 from 18h30 to 20h30. From Friday 30 November 2018 at 18h00 to Sunday 2 December 2018 at 18h00. On Thursday 29 November 2018 from 20h00 to 22h00. On Thursday 29 November 2018 from 19h00 to 21h30. On Tuesday 20 November 2018 from 19h00 to 20h00. On Saturday 10 November 2018 from 15h00 to 17h00. On Friday 9 November 2018 from 18h00 to 22h00. On Monday 5 November 2018 from 19h30 to 21h30. On Saturday 3 November 2018 from 15h00 to 17h00. On Thursday 1 November 2018 from 17h30 to 20h30. 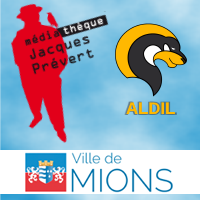 Mantes-la-Jolie Projection débat "La surveillance et vous"
On Friday 26 October 2018 from 20h00 to 22h30. On Friday 26 October 2018 from 15h00 to 17h00. On Tuesday 23 October 2018 from 17h00 to 19h00. On Saturday 20 October 2018 from 14h00 to 18h00. On Saturday 20 October 2018 from 14h00 to 17h00. On Friday 19 October 2018 from 20h00 to 22h30. On Thursday 18 October 2018 from 14h00 to 16h00. On Wednesday 17 October 2018 from 15h00 to 17h00. On Wednesday 17 October 2018 from 12h00 to 14h00. On Monday 15 October 2018 from 18h30 to 21h30. On Friday 12 October 2018 from 20h00 to 22h30. On Friday 12 October 2018 from 19h00 to 21h00. Valence Vie privée, données personnelles : on vous explique ! On Thursday 11 October 2018 from 19h00 to 21h00. On Tuesday 9 October 2018 from 19h00 to 23h00. On Thursday 4 October 2018 from 17h30 to 20h30. On Wednesday 3 October 2018 from 15h00 to 17h00. On Monday 1 October 2018 from 19h30 to 21h30. Tournefeuille Install party, Logiciels Libres et échanges sur "comment reprendre la main sur notre vie numérique". On Saturday 29 September 2018 from 14h00 to 17h00. On Friday 28 September 2018 from 19h00 to 21h00. On Thursday 27 September 2018 from 19h00 to 22h00. On Saturday 22 September 2018 from 14h00 to 17h30. On Friday 14 September 2018 from 18h00 to 22h00. On Tuesday 11 September 2018 from 19h00 to 20h30. On Tuesday 11 September 2018 from 14h00 to 16h00. On Thursday 6 September 2018 from 17h30 to 20h30. On Saturday 4 August 2018 from 14h00 to 18h00. On Thursday 2 August 2018 from 17h30 to 20h30. On Saturday 28 July 2018 from 14h00 to 18h00. On Thursday 26 July 2018 from 18h30 to 22h00. On Thursday 5 July 2018 from 17h30 to 20h30. Vesseaux Projection-débat du film "Nothing to hide"
On Thursday 28 June 2018 from 19h00 to 22h00. On Thursday 21 June 2018 from 09h30 to 11h30. On Tuesday 19 June 2018 from 18h30 to 20h30. Strasbourg Libérez votre vie numérique : sécurisez vos accès et vos données ! On Saturday 16 June 2018 from 14h00 to 17h00. On Saturday 16 June 2018 from 13h30 to 17h30. On Thursday 7 June 2018 from 17h30 to 20h30. On Saturday 2 June 2018 from 19h00 to 22h00. On Saturday 2 June 2018 from 14h00 to 18h00. Bourges Expo/conférence "Sécurité & Vie privée"
On Sunday 27 May 2018 from 10h00 to 18h00. On Saturday 19 May 2018 from 14h00 to 17h00. On Saturday 19 May 2018 from 13h30 to 17h30. On Saturday 12 May 2018 from 14h15 to 16h30. On Saturday 12 May 2018 from 14h00 to 18h00. On Saturday 21 April 2018 from 13h30 to 17h30. On Tuesday 17 April 2018 from 18h30 to 20h30. On Wednesday 11 April 2018 from 20h45 to 23h00. Voisins-le-Bretonneux Atelier / Conférence : "Logiciels Libres et protection de la vie privée"
On Saturday 7 April 2018 from 14h30 to 18h30. Saint-Denis Ciné-débat "Nothing to hide"
On Friday 6 April 2018 from 19h30 to 23h00. On Thursday 5 April 2018 from 19h00 to 21h00. On Thursday 5 April 2018 from 17h30 to 20h30. On Saturday 31 March 2018 from 14h00 to 18h00. Orléans Mieux protéger sa vie privée. On Wednesday 28 March 2018 from 20h30 to 22h30. Bailly Les journées du N.A.T : Dégooglisons Internet, quelles alternatives aux GAFAM ? On Saturday 24 March 2018 from 14h00 to 17h00. On Saturday 24 March 2018 from 09h30 to 11h30. On Saturday 24 March 2018 from 09h30 to 12h30. On Thursday 22 March 2018 from 18h30 to 20h30. On Tuesday 20 March 2018 from 18h30 to 20h30. On Saturday 17 March 2018 from 14h10 to 18h00. Fontenay-le-Fleury Les journées du N.A.T : Internet est-il gratuit ? On Saturday 17 March 2018 from 14h00 to 17h00. On Saturday 17 March 2018 from 13h30 to 17h30. On Saturday 10 March 2018 from 14h00 to 17h00. From Friday 9 March 2018 at 20h00 to Sunday 11 March 2018 at 16h00. On Thursday 1 March 2018 from 17h30 to 20h30. On Saturday 17 February 2018 from 14h00 to 18h00. On Tuesday 13 February 2018 from 19h30 to 21h00. On Saturday 10 February 2018 from 14h00 to 17h00. On Thursday 1 February 2018 from 17h30 to 20h30. Hellemmes [Complet] Comment protéger sa vie privée sur Internet ? On Tuesday 30 January 2018 from 19h00 to 22h00. On Saturday 27 January 2018 from 15h00 to 17h00. On Friday 26 January 2018 from 19h00 to 20h30. Annecy Atelier "La Liberté, çà vous parle ?" On Friday 26 January 2018 from 16h00 to 18h00. On Thursday 25 January 2018 from 20h00 to 23h00. On Tuesday 23 January 2018 from 18h00 to 20h00. On Thursday 18 January 2018 from 19h00 to 23h00. On Saturday 13 January 2018 from 14h00 to 17h00. On Thursday 11 January 2018 from 18h00 to 20h00. On Thursday 4 January 2018 from 17h30 to 20h30. On Tuesday 19 December 2017 from 20h00 to 22h00. On Saturday 16 December 2017 from 14h00 to 17h00. On Saturday 9 December 2017 from 10h00 to 12h00. On Thursday 7 December 2017 from 17h30 to 20h30. Saint-Louis Projection de "Nothing to hide"
On Friday 1 December 2017 from 11h30 to 14h00. On Saturday 25 November 2017 from 15h00 to 20h00. Rennes Un espion dans votre poche ? On Wednesday 22 November 2017 from 18h30 to 22h00. On Tuesday 21 November 2017 from 18h30 to 20h30. On Thursday 2 November 2017 from 17h30 to 20h30. On Saturday 28 October 2017 from 15h00 to 18h00. On Wednesday 18 October 2017 from 20h00 to 22h00. On Tuesday 17 October 2017 from 18h30 to 20h30. On Saturday 14 October 2017 from 14h00 to 17h00. On Friday 6 October 2017 from 20h00 to 23h00. On Thursday 5 October 2017 from 17h30 to 20h30. From Saturday 23 September 2017 at 14h45 to Sunday 24 September 2017 at 18h00. On Saturday 16 September 2017 from 14h00 to 17h00. On Thursday 7 September 2017 from 17h30 to 20h30. On Saturday 17 June 2017 from 16h00 to 19h00. On Tuesday 6 June 2017 from 18h30 to 20h30. On Saturday 3 June 2017 from 14h00 to 15h30. On Friday 2 June 2017 from 18h00 to 22h00. On Thursday 1 June 2017 from 19h00 to 21h00. On Tuesday 16 May 2017 from 18h00 to 20h00. On Tuesday 2 May 2017 from 18h30 to 20h30. On Thursday 27 April 2017 from 18h00 to 20h30. On Saturday 15 April 2017 from 09h00 to 17h00. On Saturday 8 April 2017 from 15h00 to 17h00. On Tuesday 4 April 2017 from 18h30 to 20h30. On Wednesday 29 March 2017 from 18h00 to 23h00. On Saturday 25 March 2017 from 15h00 to 17h00. Le Châtelard Atelier "La Liberté, çà vous parle ?" On Friday 24 March 2017 from 10h30 to 12h30. On Saturday 18 March 2017 from 10h30 to 12h00. On Saturday 18 March 2017 from 10h00 to 18h00. On Saturday 11 March 2017 from 15h00 to 17h00. On Saturday 11 March 2017 from 14h00 to 17h00. On Friday 10 March 2017 from 20h00 to 22h00. On Tuesday 7 March 2017 from 18h30 to 20h30. On Saturday 25 February 2017 from 17h00 to 19h00. Genève Atelier "La Liberté, çà vous parle ?" From Wednesday 22 February 2017 at 18h00 to Friday 22 December 2017 at 20h00. On Saturday 11 February 2017 from 15h00 to 17h00. On Thursday 2 February 2017 from 19h00 to 21h30. On Saturday 28 January 2017 from 16h00 to 19h00. On Saturday 28 January 2017 from 15h00 to 17h30. On Saturday 28 January 2017 from 09h00 to 12h00. On Saturday 14 January 2017 from 15h00 to 17h00. On Tuesday 10 January 2017 from 18h30 to 20h30. On Tuesday 13 December 2016 from 18h30 to 20h30. On Saturday 10 December 2016 from 15h00 to 17h00. Poitiers Café vie privée "Quels traces laissons-nous sur les réseaux ?" On Saturday 26 November 2016 from 14h30 to 18h00. On Wednesday 23 November 2016 from 19h00 to 23h00. Poitiers Café vie privée "Données et objets connectés"
On Tuesday 22 November 2016 from 18h30 to 20h00. On Tuesday 15 November 2016 from 18h30 to 20h30. On Wednesday 9 November 2016 from 14h00 to 16h00. On Tuesday 8 November 2016 from 20h30 to 23h00. On Tuesday 18 October 2016 from 18h30 to 20h30. On Thursday 6 October 2016 from 19h00 to 21h30. On Tuesday 20 September 2016 from 18h30 to 20h30. On Tuesday 20 September 2016 from 16h00 to 20h00. On Saturday 10 September 2016 from 14h00 to 17h00. On Saturday 18 June 2016 from 14h00 to 16h00. On Tuesday 7 June 2016 from 18h30 to 20h30. On Sunday 5 June 2016 from 14h00 to 18h00. On Tuesday 31 May 2016 from 20h30 to 23h30. On Tuesday 3 May 2016 from 18h30 to 20h30. Strasbourg Windows 10 : Comment limiter les risques pour ma vie privée ? On Sunday 1 May 2016 from 14h00 to 18h00. On Saturday 23 April 2016 from 14h00 to 17h00. On Friday 22 April 2016 from 14h00 to 16h00. On Tuesday 19 April 2016 from 18h30 to 20h30. On Saturday 9 April 2016 from 14h00 to 17h00. On Tuesday 22 March 2016 from 19h30 to 22h00. On Monday 21 March 2016 from 19h30 to 22h00. On Saturday 19 March 2016 from 10h00 to 19h00. On Thursday 3 March 2016 from 19h00 to 21h00. On Tuesday 1 March 2016 from 18h30 to 20h30. Orléans Comment protéger sa vie privée ? On Wednesday 24 February 2016 from 20h30 to 22h30. On Tuesday 2 February 2016 from 18h30 to 20h00. On Thursday 14 January 2016 from 19h00 to 21h00. On Tuesday 12 January 2016 from 18h30 to 20h30. On Saturday 19 December 2015 from 14h00 to 18h00. On Thursday 3 December 2015 from 19h00 to 21h30. On Thursday 3 December 2015 from 19h00 to 21h00. On Tuesday 1 December 2015 from 18h30 to 20h30. On Tuesday 3 November 2015 from 18h30 to 20h30. On Saturday 17 October 2015 from 14h00 to 17h00. On Tuesday 6 October 2015 from 18h30 to 20h30. On Tuesday 15 September 2015 from 18h30 to 20h30.